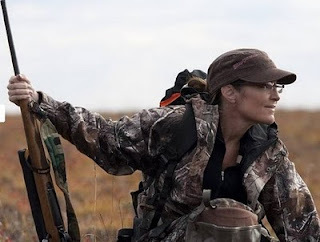 America Revealed: Could Palin Be Convenient Pawn for New World Order? While Sarah Palin is at the moment the key player in what could be a shifty move on behalf of the New World Order in superficially ordaining one result while achieving another, Michele Bachmann could be a key player as well. Bachmann’s latest comment made Sunday at a mega church was that God had personally called on her to run against Barack Obama in 2012. It was Johnson who then asserted that it was up to South Vietnam’s current regime to do its own fighting, arguing against a strong and steady U.S. presence. Goldwater conversely contended that it was necessary to take all necessary steps to defeat Communism in Southeast Asia, including massive deployment of U.S. troops and aerial bombardment of jungle where Viet Cong troops were deployed. He even posed the possibility of introducing nuclear weapons into the conflict. Eventually the United States would commit over a half million troops to the Vietnam War at maximum level. This occurred, however, under a Johnson rather than Goldwater presidency after the incumbent scored a victory even more massive in the popular vote category than President Franklin Delano Roosevelt’s 1936 re-election landslide over Governor Alf Landon of Kansas. Goldwater’s ill-fated candidacy was marked by numerous verbal gaffes. On one occasion he stated that he would like to see the Eastern Seaboard, an area where his brand of conservatism was markedly unpopular, cut off from the rest of the U.S. and drowned in the sea. He stated also that he would love to see someone lob a Molotov cocktail into the men’s room of Moscow’s Kremlin. Even in the south, where he had strength, Goldwater alarmed voters by saying that he would sell off the Tennessee Valley Authority, even for as low as one dollar. George Reedy, Johnson’s press secretary, advised his boss during the fall campaign to return to Washington and focus exclusively on his work there. “Your opponent is campaigning for you,” Reedy explained. Fresh in the aftermath of the killing of Osama bin Laden, the big question pondered by longtime government ombudsman Seymour Hersh and others is if and when Obama will launch a military strike against Iran. While Hersh contends that no credible evidence exists of Iran possessing nuclear might, he registers concern that the Obama Administration will launch a strike based on false information regarding Iran’s military capability. The Republican 1964 campaign effort was so inept in its right wing absurdity that even reliable stronghold Kansas handed its electoral votes to Johnson. Meanwhile how are the Tea Party Republicans behaving?Much has been made over the absurd and easily refutable birther issue. Bachmann and others have brought God into the race in a manner that would strike fear into those who support separation of church and state. Meanwhile, as in 1964, when the ugly specter of racism reared its head at the Republican National Convention in San Francisco, we have seen evidence of it at Tea Party rallies with signs showing Obama as a simian monkey. Donald Trump spouts thinly veiled racist commentary by asking the rhetorical question of how Obama managed to get into prestigious Ivy League universities, whose places should be reserved for the like of him along with his cronies. On the domestic front the Tea Party influenced Republicans in Congress show signs of uprooting Medicare and Social Security under the guise of attacking America’s debt. Goldwater won much John Birch support in the sixties by proposing that Social Security be made a voluntary rather than mandatory program. Once that Johnson achieved his massive victory, which also resulted in sizable gains in both houses of Congress, he became a war president by carrying out policies in Vietnam that he had rejected in the 1964 campaign while administration spear carriers such as Secretary of Defense Robert McNamara denounced Goldwater as irresponsible and trigger happy. The current question is whether the pattern of 1964 will repeat itself. Will Obama, flush from a massive victory over Palin or some other Republican candidate under heavy Tea Party influence, claim a national mandate and move in a direction comparable to Johnson with Iran his immediate target?